Meadow Brook is a beautiful community in Coquitlam, British Columbia. Meadow Brook is tucked away in the southeast corner created at the point where Highway 7 west meets Highway 7A. The boundaries of Meadow Brook are roughly Lougheed Highway to the north and west, and the Coquitlam River to the east and south. The Coquitlam river runs through beautiful Gates Park which is also just south of the community of Meadow Brook. Gates Park is an exceptionally maintained facility with a soccer soccer field, lacrosse field, a playground, outdoor exercise equipment, hiking and jogging trails, numerous benches for resting after a long walk, and it's even wheelchair accessible. Coquitlam has an “oceanic climate” with mild temperatures and adequate precipitation. Summers are warm and dry with winters being cool and wet. On average, Coquitlam receives about 56 centimeters of snow each year with it rarely staying on the ground for more than a couple of days. Coquitlam is located in the warmest region in Canada. The mild climate in Coquitlam is due to the warm Alaska Current offshore and the mountain ranges which prevent the cold arctic air in the rest of Canada from reaching the southwest corner of British Columbia. Homes in Meadow Brook come in a variety of sizes and architectural styles with prices to suit every homebuyer’s budget. Single-family homes in Meadow Brook start around $629,000 and go up in price to $1,500,000 for a beautiful, custom built, stone front home with 5 bedrooms, 4 bathrooms and 3,302 square feet. 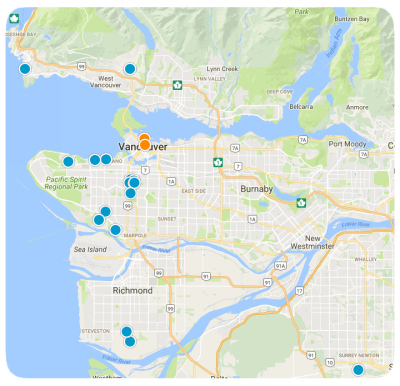 Condominiums, townhomes, and lots of on which to build are available in neighboring communities of Coquitlam. A condo was recently sold for around $888,000 featuring 4 bedrooms and 3 bathrooms. Lots are less plentiful than existing homes but can still be found starting at approximately $649,000 and going up to around $2,150,000, depending on the size of the lot and the desirability of its location. Contact us today with any questions or to schedule an appointment to see one of our properties in the beautiful neighborhood of Meadow Brook or any neighboring community of Coquitlam, British Columbia.